Enjoy one of Nikon's high-resolution cameras along with two of Nikon’s best lenses: a 35mm wide angle suitable for capturing your subject plus a little scenery and a 105mm macro to capture wonderful facial details of your pets along with very small pets and objects. 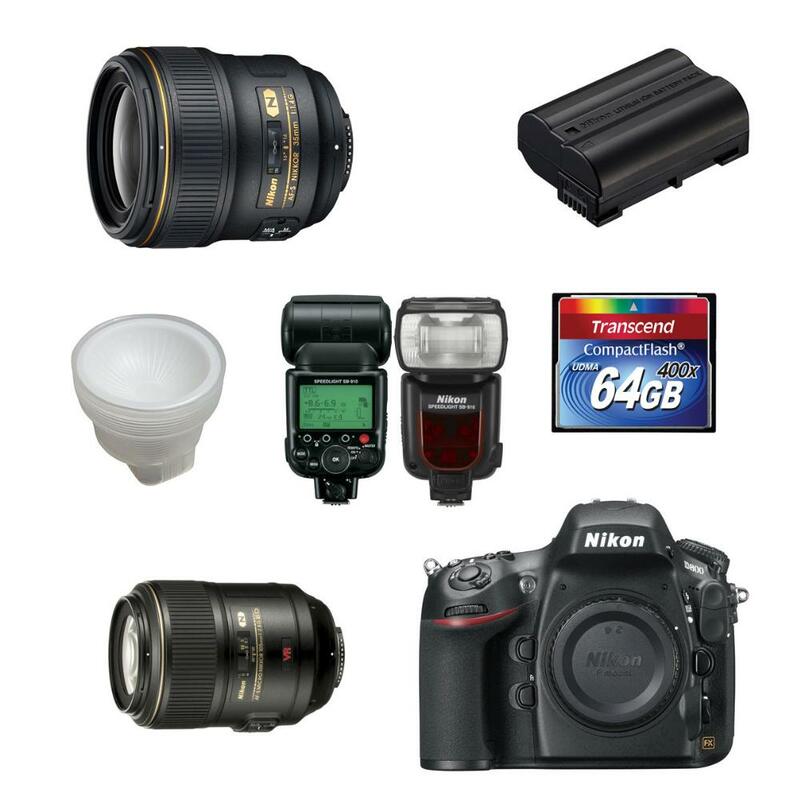 The flash is the most powerful that Nikon offers and produces flattering, soft light with the dome diffuser. A large memory card ensures that you can shoot all day without missing a moment, as does the extra battery. Get professional-looking portraits of your pets with this high-quality setup.